Not to be confused with Polyculturalism. 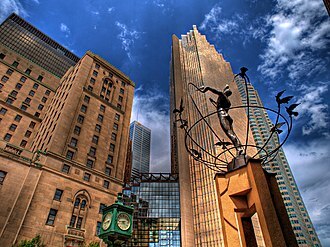 The Monument to Multiculturalism in Toronto, Canada. Four identical sculptures are located in Buffalo City, South Africa; in Changchun, China; in Sarajevo, Bosnia and in Sydney, Australia. The term multiculturalism has a range of meanings within the contexts of sociology, of political philosophy, and of colloquial use. In sociology and in everyday usage, it is a synonym for "ethnic pluralism", with the two terms often used interchangeably, for example, a cultural pluralism in which various ethnic groups collaborate and enter into a dialogue with one another without having to sacrifice their particular identities. It can describe a mixed ethnic community area where multiple cultural traditions exist (such as New York City) or a single country within which they do (such as Switzerland, Belgium or Russia). Groups associated with an aboriginal or autochthonous ethnic group and foreigner ethnic groups are often the focus. In reference to sociology, multiculturalism is the end-state of either a natural or artificial process (for example: legally-controlled immigration) and occurs on either a large national scale or on a smaller scale within a nation's communities. On a smaller scale this can occur artificially when a jurisdiction is established or expanded by amalgamating areas with two or more different cultures (e.g. French Canada and English Canada). On a large scale, it can occur as a result of either legal or illegal migration to and from different jurisdictions around the world (for example, Anglo-Saxon settlement of Britain by Angles, Saxons and Jutes in the 5th century or the colonization of the Americas by Europeans, Africans and Asians since the 16th century). Multiculturalism as a political philosophy involves ideologies and policies which vary widely. It has been described as a "salad bowl" and as a "cultural mosaic" -- in contrast to a melting pot. In the political philosophy of multiculturalism, ideas are focused on the ways in which societies are either believed to or should, respond to cultural and religious differences. It is often associated with "identity politics", "the politics of difference", and "the politics of recognition". It is also a matter of economic interests and political power. In more recent times political multiculturalist ideologies have been expanding in their use to include and define disadvantaged groups such as African Americans, LGBT, with arguments often focusing on ethnic and religious minorities, minority nations, indigenous peoples and even the disabled. It is within this context in which the term is most commonly understood and the broadness and scope of the definition, as well as its practical use, has been the subject of serious debate. Most debates over multiculturalism center around whether or not multiculturalism is the appropriate way to deal with diversity and immigrant integration. The arguments regarding the perceived rights to a multicultural education include the proposition that it acts as a way to demand recognition of aspects of a group's culture subordination and its entire experience in contrast to a melting pot or non-multicultural societies. The term multiculturalism is most often used in reference to Western nation-states, which had seemingly achieved a de facto single national identity during the 18th and/or 19th centuries. Multiculturalism has been official policy in several Western nations since the 1970s, for reasons that varied from country to country, including the fact that many of the great cities of the Western world are increasingly made of a mosaic of cultures. The Canadian government has often been described as the instigator of multicultural ideology because of its public emphasis on the social importance of immigration. The Canadian Royal Commission on Bilingualism and Biculturalism is often referred to as the origins of modern political awareness of multiculturalism. In the Western English-speaking countries, multiculturalism as an official national policy started in Canada in 1971, followed by Australia in 1973 where it is maintained today. It was quickly adopted as official policy by most member-states of the European Union. Recently, right-of-center governments in several European states – notably the Netherlands and Denmark – have reversed the national policy and returned to an official monoculturalism. [unreliable source?] A similar reversal is the subject of debate in the United Kingdom, among others, due to evidence of incipient segregation and anxieties over "home-grown" terrorism. Several heads-of-state or heads-of-government have expressed doubts about the success of multicultural policies: The United Kingdom's ex-Prime Minister David Cameron, German Chancellor Angela Merkel, Australia's ex-prime minister John Howard, Spanish ex-prime minister Jose Maria Aznar and French ex-president Nicolas Sarkozy have voiced concerns about the effectiveness of their multicultural policies for integrating immigrants. Many nation-states in Africa, Asia, and the Americas are culturally diverse and are 'multicultural' in a descriptive sense. In some, communalism is a major political issue. The policies adopted by these states often have parallels with multiculturalist policies in the Western world, but the historical background is different, and the goal may be a mono-cultural or mono-ethnic nation-building – for instance in the Malaysian government's attempt to create a 'Malaysian race' by 2020. People of Indian origin have been able to achieve a high demographic profile in India Square, Jersey City, New Jersey, US, known as Little Bombay, home to the highest concentration of Asian Indians in the Western Hemisphere and one of at least 24 enclaves characterized as a Little India which have emerged within the New York City Metropolitan Area, with the largest metropolitan Indian population outside Asia, as large-scale immigration from India continues into New York, through the support of the surrounding community. Multiculturalism is seen by its supporters as a fairer system that allows people to truly express who they are within a society, that is more tolerant and that adapts better to social issues. They argue that culture is not one definable thing based on one race or religion, but rather the result of multiple factors that change as the world changes. Historically, support for modern multiculturalism stems from the changes in Western societies after World War II, in what Susanne Wessendorf calls the "human rights revolution", in which the horrors of institutionalized racism and ethnic cleansing became almost impossible to ignore in the wake of the Holocaust; with the collapse of the European colonial system, as colonized nations in Africa and Asia successfully fought for their independence and pointed out the discriminatory underpinnings of the colonial system; and, in the United States in particular, with the rise of the Civil Rights Movement, which criticized ideals of assimilation that often led to prejudices against those who did not act according to Anglo-American standards and which led to the development of academic ethnic studies programs as a way to counteract the neglect of contributions by racial minorities in classrooms. As this history shows, multiculturalism in Western countries was seen to combat racism, to protect minority communities of all types, and to undo policies that had prevented minorities from having full access to the opportunities for freedom and equality promised by the liberalism that has been the hallmark of Western societies since the Age of Enlightenment. The contact hypothesis in sociology is a well documented phenomenon in which cooperative interactions with those from a different group than one's own reduce prejudice and inter-group hostility. C. James Trotman argues that multiculturalism is valuable because it "uses several disciplines to highlight neglected aspects of our social history, particularly the histories of women and minorities [...and] promotes respect for the dignity of the lives and voices of the forgotten. By closing gaps, by raising consciousness about the past, multiculturalism tries to restore a sense of wholeness in a postmodern era that fragments human life and thought." Tariq Modood argues that in the early years of the 21st century, multiculturalism "is most timely and necessary, and [...] we need more not less", since it is "the form of integration" that (1) best fits the ideal of egalitarianism, (2) has "the best chance of succeeding" in the "post-9/11, post 7/7" world, and (3) has remained "moderate [and] pragmatic". Bhikhu Parekh counters what he sees as the tendencies to equate multiculturalism with racial minorities "demanding special rights" and to see it as promoting a "thinly veiled racis[m]". Instead, he argues that multiculturalism is in fact "not about minorities" but "is about the proper terms of relationship between different cultural communities", which means that the standards by which the communities resolve their differences, e.g., "the principles of justice" must not come from only one of the cultures but must come "through an open and equal dialogue between them." Balibar characterizes criticisms of multiculturalism as "differentialist racism", which he describes as a covert form of racism that does not purport ethnic superiority as much as it asserts stereotypes of perceived "incompatibility of life-styles and traditions". While there is research that suggests that ethnic diversity increases chances of war, lower public goods provision and decreases democratization, there is also research that shows that ethnic diversity in itself is not detrimental to peace, public goods provision or democracy. Rather, it was found that promoting diversity actually helps in advancing disadvantaged students. A 2018 study in the American Political Science Review cast doubts on findings that ethnoracial homogeneity led to greater public goods provision. A 2015 study in the American Journal of Sociology challenged past research showing that racial diversity adversely affected trust. The Wikimedia Foundation suggests that "diversity of perspectives is crucial to increasing the quality of the free knowledge resources that [their] movement provides". Wikidata also suggests that "the world is complicated and there is no single truth–especially in a knowledge base that is supposed to serve many cultures." Critics of multiculturalism often debate whether the multicultural ideal of benignly co-existing cultures that interrelate and influence one another, and yet remain distinct, is sustainable, paradoxical, or even desirable. It is argued that nation states, who would previously have been synonymous with a distinctive cultural identity of their own, lose out to enforced multiculturalism and that this ultimately erodes the host nations' distinct culture. "[W]e hunker down. We act like turtles. The effect of diversity is worse than had been imagined. And it’s not just that we don’t trust people who are not like us. In diverse communities, we don’t trust people who do look like us". Putnam has also stated, however, that "this allergy to diversity tends to diminish and to go away... I think in the long run we'll all be better." Relatively homogeneous societies invest more in public goods, indicating a higher level of public altruism. For example, the degree of ethnic homogeneity correlates with the government's share of gross domestic product as well as the average wealth of citizens. Case studies of the United States, Africa and South-East Asia find that multi-ethnic societies are less charitable and less able to cooperate to develop public infrastructure. Moscow beggars receive more gifts from fellow ethnics than from other ethnies [sic]. A recent multi-city study of municipal spending on public goods in the United States found that ethnically or racially diverse cities spend a smaller portion of their budgets and less per capita on public services than do the more homogeneous cities. Diverse peoples worldwide are mostly engaged in hating each other—that is, when they are not killing each other. A diverse, peaceful, or stable society is against most historical precedent." Then, still in darkness, silence, and urgent haste, her body was flayed, and a naked priest, a 'very strong man, very powerful, very tall', struggled into the wet skin, with its slack breasts and pouched genitalia: a double nakedness of layered, ambiguous sexuality. The skin of one thigh was reserved to be fashioned into a face-mask for the man impersonating Centeotl, Young Lord Maize Cob, the son of Toci. 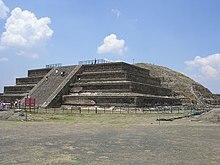 Windschuttle argued that the gruesome religion of the Aztecs that required that dozens of young people be sacrificed and eaten every day so that the sun might rise the next day and hundreds of people sacrificed for major holidays as proving that multiculturalism is a facile doctrine that requires Westerners to respect Aztec religion as equal to any other religion. The American classicist Victor Davis Hanson used the perceived differences in "rationality" between Moctezuma and Cortés to argue that Western culture was superior to every culture in the entire world, which thus led him to reject multiculturalism as a false doctrine that placed all cultures on an equal footing. In New Zealand (Aotearoa), which is officially bi-cultural, multiculturalism has been seen as a threat to the Maori, and possibly an attempt by the New Zealand Government to undermine Maori demands for self determination. 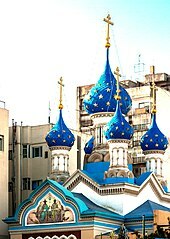 Russian Orthodox Cathedral of the Most Holy Trinity in Buenos Aires. Though not called Multiculturalism as such, the preamble of Argentina's constitution explicitly promotes immigration, and recognizes the individual's multiple citizenship from other countries. Though 97% of Argentina's population self-identify as of European descent to this day a high level of multiculturalism remains a feature of Argentina's culture, allowing foreign festivals and holidays (e.g. Saint Patrick's Day), supporting all kinds of art or cultural expression from ethnic groups, as well as their diffusion through an important multicultural presence in the media; for instance it is not uncommon to find newspapers or radio programs in English, German, Italian, French or Portuguese in Argentina. Bolivia is a diverse country made up of 36 different types of indigenous groups. Over 62% of Bolivia's population falls into these different ingenious groups, making it the most indigenous country in Latin America. Out of the indigenous groups the Aymara and the Quechua are the largest. The latter 30% of the population is apart of the mestizo, which are a people mixed with European and indigenous ancestry. Bolivia's political administrations have endorsed multicultural politics and in 2009 Bolivia's Constitution was inscribed with multicultural principles. The Constitution of Bolivia recognizes 36 official languages besides Spanish, each language has its own culture and indigenous group. Bolivian culture is celebrated across the country and has heavy influences from the Aymara, the Quechua, the Spanish, and other popular cultures from around Latin America. The Americas have been known to be some of the most multicultural geographical locations, as many of the times there is a diversity of language, religion, and ethnicities present. The South American country Brazil can also acclaim multiculturalism, and has undergone many changes in the past few decades. Brazil is a controversial country when is comes to defining a multicultural country. There are two views: the Harvard Institute of Economic Research states that Brazil has an intersection of many cultures because of recent migration, while the Pew Research Center state that Brazil is culturally diverse but the majority of the country speaks Portuguese. With cities such as São Paulo, who are seen to be home to many migrants from Japan, Italy, Lebanon and Portugal. There is a multicultural presence within in this city, and this is prevalent throughout Brazil. Furthermore, Brazil is a country who has made great strides to embrace migrant cultures, and with its increase of African descent people they have made changes to become more aware and welcoming. There has been an increase of awareness of anti-blackness and they are actively finding ways to combat racism in Brazil. Canadian society is often depicted as being "very progressive, diverse, and multicultural". Multiculturalism (a Just Society) was adopted as the official policy of the Canadian government during the premiership of Pierre Elliott Trudeau in the 1970s and 1980s. Multiculturalism is reflected in the law through the Canadian Multiculturalism Act and section 27 of the Canadian Charter of Rights and Freedoms. The Broadcasting Act of 1991 asserts the Canadian broadcasting system should reflect the diversity of cultures in the country. Canadian multiculturalism is looked upon with admiration outside the country, resulting in the Canadian public dismissing most critics of the concept. Multiculturalism in Canada is often looked at as one of Canada's significant accomplishments, and a key distinguishing element of Canadian identity. In a 2002 interview with The Globe and Mail, Karīm al-Hussainī the 49th Aga Khan of the Ismaili Muslims described Canada as "the most successful pluralist society on the face of our globe", citing it as "a model for the world". He explained that the experience of Canadian governance—its commitment to pluralism and its support for the rich multicultural diversity of its people—is something that must be shared and would be of benefit to all societies in other parts of the world. The Economist ran a cover story in 2016 praising Canada as the most successful multicultural society in the West. The Economist argued that Canada's multiculturalism was a source of strength that united the diverse population and by attracting immigrants from around the world was also an engine of economic growth as well. Many public and private groups in Canada work to support both multiculturalism and recent immigrants to Canada. In an effort to support recent Filipino immigrants to Alberta, for example, one school board partnered with a local university and an immigration agency to support these new families in their school and community . Mexico has historically always been a multicultural country. After the betrayal of Hernan Cortes to the Aztecs, the Spanish conquered the Aztec Empire and colonized indigenous people. They influenced the indigenous' religion, politics, culture and ethnicity. The Spanish opened schools in which they taught Christianity, and the Spanish language which it eventually surpassed the indigenous dialects and languages, making it the most spoken language in Mexico. Mestizo was also born from the conquest, which meant being half-Indigenous and half-Spanish. In today's world "Mestizo" has become an umbrella term to those that are non-indigenous, which would include Asian Mexicans and Afro-Mexicans. Mexico City has recently been integrating rapidly, doing much better than many cities in a sample conducted by the Intercultural Cities Index (being the only non-European city, alongside Montreal, on the index). Mexico is an ethnically diverse country with a population composed of approximately 123 million in 2017. There is a wide variety of ethnic groups, the major group being Mestizos followed by Indigenous Mexicans. There are many other ethnic groups such as Arab Mexicans, Afro-Mexicans, Asian Mexicans and White Mexicans. From the year 2000 to 2010, the number of people in Mexico that were born in another country doubled, reaching an amount of 961,121 people. Mostly coming from Guatemala and the United States. Mexico is quickly becoming a melting pot, with many immigrants coming into the country. It is considered to be a cradle of civilization, which influences their multiculturalism and diversity, by having different civilizations influence them. A distinguishable trait of Mexico's culture is the mestizaje of its people, which caused the combination of Spanish influence, their indigenous roots while also adapting the culture traditions from their immigrants. Peru is an exemplary country of multiculturalism, in 2016 the INEI reported a total population of 31 million people. They share their borders with Ecuador, Colombia, Brazil and Bolivia, and have welcomed many immigrants into their country creating a diverse community. Peru is the home to Amerindians but after the Spanish Conquest, the Spanish brought African, and Asian people as slaves to Peru creating a mix of ethnic groups. After slavery was no longer permitted in Peru, African-Peruvians and Asian-Peruvians have contributed to Peruvian culture in many ways. Today, Amerindians make up 45% of the population, mestizos 37%, white 15% and 3% is composed by Black, Chinese, and others. In 1821, Peru's president Jose de San Martin gave foreigners the freedom to start industries in Peru's ground, 2 years after, foreigners that lived in Peru for more than 5 years were considered naturalized citizens, which then decreased to 3 years. Which attracted Italians, Portuguese, French and German people in look for some guano for their crops. Little Italy (top, ca. 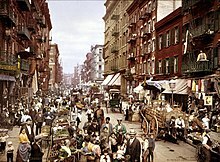 1900) in New York City abuts Manhattan's Chinatown. In the United States, multiculturalism is not clearly established in policy at the federal level, but ethnic diversity is common in both rural and urban areas. Providence has been pleased to give this one connected country to one united people – a people descended from the same ancestors, speaking the same language, professing the same religion, attached to the same principles of government, very similar in their manners and customs... This country and this people seem to have been made for each other, and it appears as if it was the design of Providence, that an inheritance so proper and convenient for a band of brethren, united to each other by the strongest ties, should never be split into a number of unsocial, jealous, and alien sovereignties. 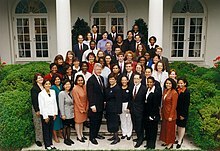 Staff of President Clinton's One America Initiative. The President's Initiative on Race was a critical element in President Clinton's effort to prepare the country to embrace diversity. As a philosophy, multiculturalism began as part of the pragmatism movement at the end of the nineteenth century in Europe and the United States, then as political and cultural pluralism at the turn of the twentieth. It was partly in response to a new wave of European imperialism in sub-Saharan Africa and the massive immigration of Southern and Eastern Europeans to the United States and Latin America. Philosophers, psychologists and historians and early sociologists such as Charles Sanders Peirce, William James, George Santayana, Horace Kallen, John Dewey, W. E. B. Du Bois and Alain Locke developed concepts of cultural pluralism, from which emerged what we understand today as multiculturalism. In Pluralistic Universe (1909), William James espoused the idea of a "plural society." James saw pluralism as "crucial to the formation of philosophical and social humanism to help build a better, more egalitarian society. The educational approach to multiculturalism has since spread to the grade school system, as school systems try to rework their curricula to introduce students to diversity earlier – often on the grounds that it is important for minority students to see themselves represented in the classroom. Studies estimated 46 million Americans ages 14 to 24 to be the most diverse generation in American society. In 2009 and 2010, controversy erupted in Texas as the state's curriculum committee made several changes to the state's requirements, often at the expense of minorities. They chose to juxtapose Abraham Lincoln's inaugural address with that of Confederate president Jefferson Davis; they debated removing Supreme Court Justice Thurgood Marshall and labor-leader Cesar Chavez and rejected calls to include more Hispanic figures, in spite of the high Hispanic population in the state. In a 2007 study by Robert Putnam encompassing 30,000 people across the US found that diversity had a negative effect on civic engagement. The greater the diversity, the fewer people voted, the less they volunteered for community projects and trust among neighbours was only half that of homogenous communities. Venezuela is the home to a variety of ethnic groups, with an estimated population of 32 million. Their population is composed of approximately 68% Mestizo, which means of mixed race. Venezuelan culture is mainly composed by the mixture of their indigenous people, Spanish and African. There was a heavy influence of Spaniard culture due to the Spanish Conquest, which influence their religion, language, traditions. African influence can be seen on their music, with the drum usage. While Spanish is Venezuela's main language, there is more than 40 indigenous languages spoken til this day. Ethno-linguistic map of Austria–Hungary, 1910. Ethno-linguistic map of the Second Polish Republic, 1937. The European Union is facing unprecedented demographic changes (an aging population, low birth rates, changing family structures and migration). According to the European Commission, it is important, both at EU and national level, to review and adapt existing policies. Following a public debate, a 2006 EU policy paper identified five key policy responses to manage demographic change, among them receiving and integrating migrants into Europe. Historically, Europe has always been a mixture of Latin, Slavic, Germanic, Uralic, Celtic, Hellenic, Illyrian, Thracian and other cultures influenced by the importation of Jewish, Christian, Muslim and other belief systems; although the continent was supposedly unified by the super-position of Imperial Roman Christianity, it is accepted that geographic and cultural differences continued from antiquity into the modern age. In the nineteenth century, the ideology of nationalism transformed the way Europeans thought about the state. Existing states were broken up and new ones created; the new nation-states were founded on the principle that each nation is entitled to its own sovereignty and to engender, protect, and preserve its own unique culture and history. Unity, under this ideology, is seen as an essential feature of the nation and the nation-state; unity of descent, unity of culture, unity of language, and often unity of religion. The nation-state constitutes a culturally homogeneous society, although some national movements recognised regional differences. Where cultural unity was insufficient, it was encouraged and enforced by the state. The nineteenth century nation-states developed an array of policies – the most important was compulsory primary education in the national language. The language itself was often standardised by a linguistic academy, and regional languages were ignored or suppressed. Some nation-states pursued violent policies of cultural assimilation and even ethnic cleansing. Tests designed to elicit "unacceptable" values. In Baden-Württemberg, immigrants are asked what they would do if their son says he is a homosexual (the desired answer is that they would accept it). Other countries have instituted policies which encourage cultural separation. The concept of "Cultural exception" proposed by France in the General Agreement on Tariffs and Trade (GATT) negotiations in 1993 was an example of a measure aimed at protecting local cultures. Since its establishment in the seventh century, Bulgaria has hosted many religions, ethnic groups and nations. The capital city Sofia is the only European city that has peacefully functioning, within walking distance of 300 metres, four Places of worship of the major religions: Eastern Orthodox (St Nedelya Church), Islam (Banya Bashi Mosque), Roman Catholicism (St. Joseph Cathedral), and Orthodox Judaism (Sofia Synagogue, the third-largest synagogue in Europe). This unique arrangement has been called by historians a "multicultural cliche". It has also become known as "The Square of Religious Tolerance" and has initiated the construction of a 100-square-metre scale model of the site that is to become a symbol of the capital. Furthermore, unlike some other Nazi Germany allies or German-occupied countries excluding Denmark, Bulgaria managed to save its entire 48,000-strong Jewish population during World War II from deportation to Nazi concentration camps. According to Dr Marinova-Christidi, the main reason for the efforts of Bulgarian people to save their Jewish population during WWII is that within the region, they "co-existed for centuries with other religions" – giving it a unique multicultural and multiethnic history. 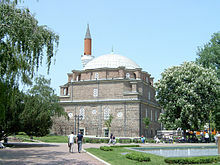 Consequently, within the Balkan region, Bulgaria has become an example for multiculturalism in terms of variety of religions, artistic creativity and ethnicity. Its largest ethnic minority groups, Turks and Roma, enjoy wide political representation. In 1984, following a campaign by the Communist regime for a forcible change of the Islamic names of the Turkish minority, an underground organisation called «National Liberation Movement of the Turks in Bulgaria» was formed which headed the Turkish community's opposition movement. On 4 January 1990, the activists of the movement registered an organisation with the legal name «Movement for Rights and Freedom» (MRF) (in Bulgarian: Движение за права и свободи: in Turkish: Hak ve Özgürlükler Hareketi) in the Bulgarian city of Varna. At the moment of registration, it had 33 members, at present, according to the organisation's website, 68,000 members plus 24,000 in the organisation's youth wing . In 2012, Bulgarian Turks were represented at every level of government: local, with MRF having mayors in 35 municipalities, at parliamentary level with MRF having 38 deputies (14% of the votes in Parliamentary elections for 2009–13) and at executive level, where there is one Turkish minister, Vezhdi Rashidov. 21 Roma political organisations were founded between 1997-2003 in Bulgaria. 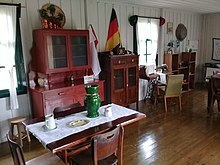 In October 2010, Angela Merkel told a meeting of younger members of her centrist Christian Democratic Union (CDU) party[not in citation given] at Potsdam, near Berlin, that attempts to build a multicultural society in Germany had "utterly failed", stating: "The concept that we are now living side by side and are happy about it does not work". She continued to say that immigrants should integrate and adopt Germany's culture and values. This has added to a growing debate within Germany on the levels of immigration, its effect on Germany and the degree to which Muslim immigrants have integrated into German society. In 2015, Merkel again criticized multiculturalism on the grounds that it leads to parallel societies. The Ahmadiyya Muslim Community of Germany is the first Muslim group to have been granted "corporation under public law status", putting the community on par with the major Christian churches and Jewish communities of Germany. Luxembourg has one of the highest foreign-born populations in Europe, foreigners account for nearly half of the country's total population. The majority of foreigners are from: Belgium, France, Italy, Germany, and Portugal. In total, 170 different nationalities make up the population of Luxembourg, out of this; 86% are of European descent. The official languages of Luxembourg are German, French, and Luxembourgish all of which are supported in the Luxembourg government and education system. In 2005, Luxembourg officially promoted and implemented the objectives of the UNESCO Convention on the Protection and Promotion of the Diversity of Cultural Expressions. This Convention affirms multicultural policies in Luxembourg and creates political awareness of cultural diversity. Multiculturalism in the Netherlands began with major increases in immigration to the Netherlands during the mid-1950s and 1960s. As a consequence, an official national policy of multiculturalism was adopted in the early-1980s. Different groups could themselves determine religious and cultural matters, while state authorities would handle matters of housing and work policy. In the 1990s, the public debate were generally optimistic on immigration and the prevailing view was that a multicultural policy would reduce the social economic disparities over time. This policy subsequently gave way to more assimilationist policies in the 1990s. Following the 11 september 2001 terror attacks on New York in the United States and the murders of Pim Fortuyn (in 2002) and Theo van Gogh (in 2004) there was increased political debate on the role of multiculturalism in the Netherlands. Lord Sacks, Chief Rabbi of the United Hebrew Congregations of the Commonwealth, made a distinction between tolerance and multiculturalism, citing the Netherlands as a tolerant, rather than multicultural, society. In June 2011, the First Rutte cabinet said the Netherlands would turn away from multiculturalism: "Dutch culture, norms and values must be dominant" Minister Donner said. Multiculturalism in Scandinavia has centered on discussions about marriage, dress, religious schools, Muslim funeral rites and gender equality. Forced marriages has been widely debated in Denmark, Sweden and Norway but the countries differ in policy and responses by authorities. Despite differing approaches by the three countries with Sweden being the most permissive and Denmark the most restrictive, all three countries have, according to right-wing politicians failed to integrate minorities and have similar levels of unemployment among minorities. In 2001, Denmark received a liberal-conservative government which was supported by the Danish People's Party which instituted a policy less pluralistic and more geared towards assimilation. A 2018 study found that increases in local ethnic diversity in Denmark caused "rightward shifts in election outcomes by shifting electoral support away from traditional “big government” left‐wing parties and towards anti‐immigrant nationalist parties." For decades, Danish immigration and integration policy was built upon the assumption that with the right kind of help, immigrants and their descendands will eventually tend to the same levels of education and employments as Danes. This assumption was disproved by a 2019 report by the Danish Immigration Service and the Ministry of Education. The report found that while the second generation non-Western immigrants do better than the first generation, the third generation of immigrants with non-Western background do no better education and employment wise than the second generation. One of the reasons was that second generation immigrants from non-Western countries marry someone from their country of origin and so Danish is not spoken at home which disadvantages children in school. Thereby the process of integration has to start from the beginning for each generation. Multiculturalism was the subject of public debate in the 1990s when the children of the first generation of immigrants became adults and cultural practices such as honor culture and forced marriages became more visible. The debates during the period, were less marked by cultural sensitivity compared to 2017. Sweden has from the early 1970s experienced a greater share of non-Western immigration than the other Scandinavian countries, which consequently have placed multiculturalism on the political agenda for a longer period of time. Sweden was the first country to adopt an official policy of multiculturalism in Europe. In May 1975, a unanimous Swedish parliament passed an act on a new multiculturalist immigrant and ethnic minority policy put forward by the social democratic government, that explicitly rejected the ideal ethnic homogeneity and the policy of assimilation. The three main principles of the new policy were equality, partnership and freedom of choice. The explicit policy aim of the freedom of choice principle was to create the opportunity for minority groups in Sweden to retain their own languages and cultures. From the mid-1970s, the goal of enabling the preservation of minorities and creating a positive attitude towards the new officially endorsed multicultural society among the majority population became incorporated into the Swedish constitution as well as cultural, educational and media policies. Despite the anti-multiculturalist protestations of the Sweden Democrats, multiculturalism remains official policy in Sweden. A 2008 study which involved questionnaires sent to 5,000 people, showed that less than a quarter of the respondents (23%) wanted to live in areas characterised by cultural, ethnic and social diversity. A 2014 study published by Gävle University College showed that 38% of the population never interacted with anyone from Africa and 20% never interacted with any non-Europeans. The study concluded that while physical distance to the country of origin, also religion and other cultural expressions are significant for the perception of cultural familiarity. In general, peoples with Christianity as the dominant religion were perceived to be culturally closer than peoples from Muslim countries. A 2017 study by Lund University also found that social trust was lower among people in regions with high levels of past non-Nordic immigration than among people in regions with low levels of past immigration. The erosive effect on trust was more pronounced for immigration from culturally distant countries. In Serbia, there are 19 officially recognised ethnic groups with a status of national minorities. Vojvodina is an autonomous province of Serbia, located in the northern part of the country. It has a multiethnic and multicultural identity; there are more than 26 ethnic groups in the province, which has six official languages. Largest ethnic groups in Vojvodina are Serbs (67%), Hungarians (13%), Slovaks, Croats, Romani, Romanians, Montenegrins, Bunjevci, Rusyns. Radio Television of Vojvodina broadcasts program in ten local languages. 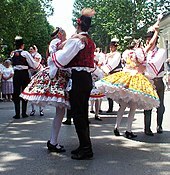 The project by the Government of AP Vojvodina titled "Promotion of Multiculturalism and Tolerance in Vojvodina", whose primary goal is to foster the cultural diversity and develop the atmosphere of interethnic tolerance among the citizens of Vojvodina, has been successfully implemented since 2005. Serbia is continually working on improving its relationship and inclusion of minorities in its effort to gain full accession to the European Union. Serbia has initiated talks through Stabilisation and Association Agreement on 7 November 2007. Multicultural policies were adopted by local administrations from the 1970s and 1980s onwards. In 1997, the newly elected Labour government committed to a multiculturalist approach at a national level, but after 2001, there was something of a backlash, led by centre-left commentators such as David Goodhart and Trevor Phillips. The Government then embraced a policy of community cohesion instead. In 2011, Conservative Prime Minister David Cameron said in a speech that "state multiculturalism has failed". Multiculturalism has been a characteristic feature of the island of Mauritius. This is mainly because of colonization that has been present from, the English, the French, and the Dutch. However, the Mauritian society includes people from many different ethnic and religious groups: Hindu, Muslim and Indo-Mauritians, Mauritian Creoles (of African and Malagasy descent), Buddhist and Roman Catholic Sino-Mauritians and Franco-Mauritians (descendants of the original French colonists). Mauritius has embraced intertwining of cultures from the origin of the country, and has coined the term fruit-salad, which is a much more appealing term in comparison to melting-pot showing that they were not forced to these cultures. According to the 1961 Census of India, there are 1652 indigenous languages in the country. The culture of India has been shaped by its long history, unique geography and diverse demography. India's languages, religions, dance, music, architecture and customs differ from place to place within the country, but nevertheless possess a commonality. The culture of India is an amalgamation of these diverse sub-cultures spread all over the Indian subcontinent and traditions that are several millennia old. The previously prevalent Indian caste system describes the social stratification and social restrictions in the Indian subcontinent, in which social classes are defined by thousands of endogamous hereditary groups, often termed jātis or castes. Religiously, Hindus form the majority, followed by Muslims. 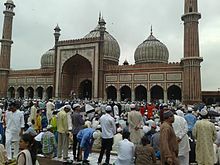 The statistics are: Hindu (80.5%), Muslim (13.4%), Christian (2.3%), Sikh (2.1%), Buddhist, Bahá'í, Jain, Jew and Parsi populations. Linguistically, the two main language families in India are Indo-Aryan (a branch of Indo-European) and Dravidian. In India's northeast, people speaking Sino-Tibetan group of languages such as Meitei (Meitei-lon) recognized by the Indian constitution and Austroasiatic languages are commonly found. India (officially) follows a three-language policy. Hindi (spoken in the form of Hindustani) is the official federal language, English has the federal status of associate/subsidiary official language and each state has its own state official language (in the Hindi sprachraum, this reduces to bilingualism). Further, India does not have any national language. The Republic of India's state boundaries are largely drawn based on linguistic groups; this decision led to the preservation and continuation of local ethno-linguistic sub-cultures, except for the Hindi sprachraum which is itself divided into many states. Thus, most states differ from one another in language, culture, cuisine, clothing, literary style, architecture, music and festivities. India has encountered religiously motivated violence, such as the Moplah Riots, the Bombay riots, the 1984 anti-Sikh riots, the 2002 Gujarat riots, the 2012 Assam violence, and the 2013 Muzaffarnagar riots. This has resulted from traditionally disadvantaged communities in public employment such as the policing of the same locality, apprehension of owners in giving properties for sale or rent and of society in accepting inter-marriages. Pluralism, diversity and multiculturalism is a daily fact of life in Indonesia. There are over 300 ethnic groups in Indonesia. 95% of those are of Native Indonesian ancestry. The Javanese are the largest ethnic group in Indonesia who make up nearly 42% of the total population. The Sundanese, Malay, and Madurese are the next largest groups in the country. There are also more than 700 living languages spoken in Indonesia and although predominantly Muslim the country also has large Christian and Hindu populations. Indonesia's national motto, Bhinneka Tunggal Ika ("Unity in Diversity" lit. "many, yet one") enshrined in Pancasila the national ideology, articulates the diversity that shapes the country. The government nurtures and promotes the diversity of Indonesian local culture; adopting a pluralist approach. Due to migration within Indonesia (as part of government transmigration programs or otherwise), there are significant populations of ethnic groups who reside outside of their traditional regions. The Javanese for example, moved from their traditional homeland in Java to the other parts of the archipelago. The expansion of the Javanese and their influence throughout Indonesia has raised the issue of Javanization, although Minangkabau, Malay, Madurese, Bugis and Makassar people, as a result of their merantau (migrating) culture are also quite widely distributed throughout the Indonesian archipelago, while Chinese Indonesians can be found in most urban areas. Because of urbanization, major Indonesian cities such as Greater Jakarta, Surabaya, Bandung, Palembang, Medan and Makassar have attracted large numbers of Indonesians from various ethnic, cultural and religious backgrounds. Jakarta in particular has almost all Indonesian ethnic groups represented. However, this transmigration program and close interactions between people of different cultural backgrounds caused socio-cultural problems, as the inter-ethnics interactions have not always been conducted harmoniously. After the fall of Suharto in 1998 into the 2000s, numbers of inter-ethnic and inter-religious clashes erupted in Indonesia. Like the clashes between native Dayak tribes against Madurese transmigrants in Kalimantan during Sambas riots in 1999 and the Sampit conflict in 2001. There were also clashes between Muslims and Christians, such as violence erupted in Poso between 1998 and into 2000, and violences in Maluku between 1999 and into 2002. Nevertheless, Indonesia today still struggles and has managed to maintain unity and inter-cultural harmony, through a national adherence of pro-pluralism policy of Pancasila; promoted and enforced by the government and its people. Chinese Indonesians are the largest foreign-origin minority that has resided in Indonesia for generations. Despite centuries of acculturation with native Indonesians, because of their disproportionate influence on Indonesian economy, and alleged question of national loyalty, Chinese Indonesians have suffered discrimination. The Suharto Orde Baru or New Order adopted a forced assimilation policy; which indicated that Chinese cultural elements were unacceptable. Chinese Indonesians were forced to adopt Indonesian-sounding names, and the use of Chinese culture and language was banned. The violence targeting Chinese Indonesians erupted during riots in 1998. As the looting and destruction took place, a number of Chinese Indonesians, as well as looters, were killed. The Chinese Indonesians were treated as the scapegoat of 1997 Asian Financial Crisis, a result of ongoing discrimination and segregation policies enforced during Suharto's New Order regime. Soon after the fourth Indonesian President, Abdurrahman Wahid came into power in 1999, he quickly abolished some of the discriminatory laws in efforts to promote acceptance and to improve inter-racial relationships, such as abolishing the ban on Chinese culture; allowing Chinese traditions to be practised freely. Two years later President Megawati Sukarnoputri declared that the Chinese New Year (Imlek) would be marked as a national holiday from 2003. Today, Chinese Indonesians enjoy the same rights as other Indonesians. Japanese society, with its ideology of homogeneity, has traditionally rejected any need to recognize ethnic differences in Japan, even as such claims have been rejected by such ethnic minorities as the Ainu and Ryukyuan people. In 2005, former Japanese Prime Minister and current Japanese Deputy Prime Minister Taro Aso described Japan as a "one civilization, one language, one culture and one race" nation. However, there are "International Society" NPOs funded by local governments throughout Japan. According to Harvard University professor Theodore Bestor, Japan does look very homogeneous from a distant perspective, but in fact there are a number of very significant minority groups – ethnically different minority groups – in Japan today, such as the already mentioned Ainu and Ryukyuan people. Kazakhstan is among the most multicultural countries in Eurasia, with sizeable populations of ethnic Kazakhs, Russians, Uzbeks, Ukrainians, Uighurs, Tatars, Germans and more. Kazakhstan is one of a few countries in post-Soviet territories that managed to avoid interethnic clashes and conflicts in the period of USSR’s final crisis and its eventual breakup. In 1995, Kazakhstan created the Assembly of People of Kazakhstan, an advisory body designed to represent the country's ethnic minorities. Native East Malaysians, namely Bajau, Bruneian, Bidayuh, Dusun, Iban, Kadazan, Kedayan, Melanau, Orang Ulu, Sarawakian Malays, etc. Non-native tribes of Peninsular Malaysia such as the Chettiars, the Peranakan and the Portuguese. The Malaysian New Economic Policy or NEP serves as a form of racial equalization. It promotes structural changes in various aspects of life from education to economic to social integration. Established after the 13 May racial riots of 1969, it sought to address the significant imbalance in the economic sphere where the minority Chinese population had substantial control over commercial activity in the country. The Malay Peninsula has a long history of international trade contacts, influencing its ethnic and religious composition. Predominantly Malays before the 18th century, the ethnic composition changed dramatically when the British introduced new industries, and imported Chinese and Indian labor. Several regions in the then British Malaya such as Penang, Malacca and Singapore became Chinese dominated. Until the riots 1969, co-existence between the three ethnicities (and other minor groups) was largely peaceful, although the three main racial groups for the most part lived in separate communities – the Malays in the villages, the Chinese in the urban areas, and the Indians in the towns and plantation. More Malays however have moved into the cities since the 1970s, and the proportion of the non-Malays have been decreasing continually, especially the Chinese, due in large part to lower birth-rate and emigration as a result of institutionalized discrimination. Preceding independence of the Federation of Malaya, a social contract was negotiated as the basis of a new society. The contract as reflected in the 1957 Malayan Constitution and the 1963 Malaysian Constitution states that the immigrant groups are granted citizenship, and Malays' special rights are guaranteed. This is often referred to the Bumiputra policy. These pluralist policies have come under pressure from racialist Malay parties, who oppose perceived subversion of Malay rights. The issue is sometimes related to the controversial status of religious freedom in Malaysia. Because of immigration, Singapore has a Chinese majority population with significant minority populations of Malays and Indians (predominantly Tamils). Other prominent smaller groups include Peranakans, Eurasians and Europeans. Besides English, Singapore recognizes three other languages—Malay, Mandarin Chinese and Tamil. English was established as the medium of instruction in schools during the 1960s and 1970s and is the language of trade and government while the other three languages are taught as second languages ("mother tongues"). Besides being a multilingual country, Singapore also acknowledges festivals celebrated by the three main ethnic communities. During British colonial rule, ethnic enclaves such as Geylang, Chinatown, and Little India were enforced. Presently (2010), remnants of colonial ethnic concentration still exist but housing in Singapore is governed by the Ethnic Integration Policy, which ensures an even ethnic distribution throughout Singapore. A similar policy exists in politics as all Group Representation Constituencies are required to field at least one candidate from an ethnic minority. South Korea remains a relatively homogenous country ethnically, linguistically, and culturally. Foreigners, expatriates, and immigrants are often rejected by the mainstream South Korean society and face discrimination. However, the word "multiculturalism" is increasingly heard in South Korea. In 2007, Han Geon-Soo, Professor of Cultural Anthropology at Kangwon National University, published an article entitled "Multicultural Korea: Celebration or Challenge of Multiethnic Shift in Contemporary Korea? ", noting: "As the increase of foreign migrants in [South] Korea transforms a single-ethnic homogeneous [South] Korean society into multiethnic and multicultural one, [the South] Korean government and the civil society pay close attention to multiculturalism as an alternative value to their policy and social movement." He argued, however, that "the current discourses and concerns on multiculturalism in [South] Korea" lacked "the constructive and analytical concepts for transforming a society". "Korea no longer has to decide whether it wants to become a multicultural society. It made that decision years ago – perhaps unconsciously – when it decided to be a full participant in the emerging global economy. It confirmed that decision when it decided to actively recruit foreign migrants to meet the economic and demographic needs of a fast-growing society. Korea is faced by a different decision today: what type of multicultural society does it want to be?" "If you stay too long, Koreans become uncomfortable with you. [...] Having a two percent foreign population unquestionably causes ripples, but having one million temporary foreign residents does not make Korea a multicultural society. [...] In many ways, this homogeneity is one of Korea’s greatest strengths. Shared values create harmony. Sacrifice for the nation is a given. Difficult and painful political and economic initiatives are endured without discussion or debate. It is easy to anticipate the needs and behavior of others. It is the cornerstone that has helped Korea survive adversity. But there is a downside, too. [...] Koreans are immersed in their culture and are thus blind to its characteristics and quirks. Examples of group think are everywhere. Because Koreans share values and views, they support decisions even when they are obviously bad. Multiculturalism will introduce contrasting views and challenge existing assumptions. While it will undermine the homogeneity, it will enrich Koreans with a better understanding of themselves." Turkey is a country that borders both Europe and Asia, therefore placing it as the multicultural intersection for Eurasia – thus including people of Armenian, Jewish, Kurds, Arabs, Turks, and Persian descent. This cultural influence mainly stems from the Iranian culture, which spread through multiple ways but mainly during the early modern period where Iranian and Ottoman contact flourished and the influence of the Kurds, an Iranian ethnic group, on Turkish culture. However, it also entails influence from Hindu, Jewish, and Muslim influence. In recent years there has been an increase of diversity acceptance in Turkey, mainly because there was fear of losing values of the non-existent Ottoman Empire. However, just after the turn of the century, Turkey has embraced its multicultural location and has even began to influence other countries. With Turkey having roots of Islam they have been provided a path for Islam to be accepted into neighboring countries in Europe. South Africa is the fifth-most populous country and one of the most developed countries in Africa. South Africa also officially recognises 11 languages including English, making it third behind Bolivia and India in most official languages. The three most common languages are Zulu, Xhosa, and Afrikaans. Though South Africa's cultural traditions may decline as it becomes more and more Westernised, it is still known for its diverse culture. Before Cameroon’s independence, it was under British and French colonial rule from 1916-1961. Upon gaining sovereignty, a major colonial influence was evident, having both English and French become the national language to roughly 25,000,000 Cameroonian residents. Apart from these two major languages, a new language consisting of a mixture of French, English, and Pidgin known as Frananglais gained popularity among Cameroonian residents. Although these three languages are the most common in Cameroon, there are still approximately 273 indigenous languages being spoken throughout the country, making it not only culturally diverse but linguistically as well. Among those who speak these indigenous languages are people from Bantu, Sudanic, Baka, Wodaabe (or Mbororo) and even primitive hunter-gatherer groups known as Pygmies. Although native to Cameroonian land, they faced constant discrimination much like other indigenous groups around the world. The United Nations General Assembly (UNGA) adopted the United Nations' Declaration on the Rights of Indigenous Peoples (UNDRIP) in 2007. What this allowed was the protection of land and resource rights and prevented others from exploiting or violating them. In 2016, a group of indigenous Baka and Bagyeli groups united to form Gbabandi. Gbabandi allowed these indigenous groups to have a form of representation and a declared list of requirements that people of Cameroon had to abide by. Among these requirements were guaranteed land rights, peoples' consent to the usage of their sacred land, traditional chiefs and the ability to participate in "local, regional, and national levels" of political and economic matters. As a result, this established a sense of justice and acknowledgment among indigenous groups in Cameroon and posed for future battles for indigenous peoples' rights. Morocco is located in Northern Africa near the Mediterranean Sea, which then connects to Europe. Morocco is a prime location for a multiculturalism, as it has much influence by neighbouring countries. Morocco has been invaded and colonised by many countries throughout the centuries, which means that they have experienced an influence of many cultures. Some of these invaders include the French, the Spaniards, the Arabs, and several more countries. This has led to the country becoming not only multicultural, but also multilingual. Officially the language of Morocco is Arabic, but throughout the country many people speak, French, Spanish, Arabic, and most recently acknowledging Berber as a language. There has been much outside influence of multiculturalism in Morocco, but they have embraced these cultures. The next country to adopt an official policy of multiculturalism after Canada was Australia, a country with similar immigration situations and similar policies, for example the formation of the Special Broadcasting Service. The Australian government retains multiculturalism in policy, and as a defining aspect of Australia today. The White Australia Policy was quietly dismantled after World War II by various changes to immigration policy, although the official policy of multiculturalism was not formally introduced until 1972. The election of John Howard's Liberal-National Coalition government in 1996 was a major watershed for Australian multiculturalism. Howard had long been a critic of multiculturalism, releasing his One Australia policy in the late 1980s. A Practical Reference to Religious Diversity for Operational Police and Emergency Services was a publication of the Australasian Police Multicultural Advisory Bureau designed to offer guidance to police and emergency services personnel on how religious affiliation can affect their contact with the public. The first edition was published in 1999. The first edition covered Buddhist, Hindu, Islamic, Jewish and Sikh faiths with participation of representatives of the various religions. The second edition added Christian, Australian Aboriginal and Torres Strait Islander religions and the Bahá'í Faith to the list of religions was published in 2002. Contact between people of different cultures in Australia has been characterised by tolerance and engagement, but have also occasionally resulted in conflict and rifts. Australia's diverse migrant communities have brought with them food, lifestyle and cultural practices, which have been absorbed into mainstream Australian culture. New Zealand is a sovereign Oceanic country that adopted its multicultural policies post World War II. The country used to have immigration policies similar to Australia's White Australia Policy, but it would later follow suit with Australia in the 1970s and adopt similar multicultural policies. The relaxation of migration led to an influx of new migration to New Zealand in the 1980s. This led to an increase of Asian and Pacific islander peoples on the island, and ultimately a more diverse European population. In 1985 the Law Commission Act was passed which required the New Zealand Law Commission to review laws while taking into account both the indigenous Māori of New Zealand and New Zealand's multicultural character. In 2001 the New Zealand government opened an Office of Ethnic Affairs to advise its local governments on the advancement of ethnic diversity and affairs of its multicultural communities. In 1987 New Zealand officially recognized the indigenous Māori language as a national language. The revitalization in the Māori language led to its immersion in schools and television broadcast. Many landmarks on the island have both their Māori and English names officially recognized. Māori makes up 3.7% of the populations speaking language. A 2013 census of New Zealand's population showed that 74% of the population identifies ethnically as European, while the latter 15% majority identify as Māori. The remainder identify as Asian, and Pacific islander. Papua New Guinea is one of the most multicultural countries in the world. This Oceanian country is home to over eight million people that are divided into hundreds of different indigenous ethnic groups and cultures with over 820 different indigenous languages. A majority of the indigenous groups are Papuans who have ancestors that lived in New Guinea over ten thousand years ago. The latter majority are Austronesians whose ancestors arrived less than four thousand years ago. The island's population is also made up of many expatriate citizens from China, Australia, Indonesia, Europe and the Philippines. In 1975 the island population was found to be made up of 40,000 of these diverse expatriate citizens. Despite the large amount of culturally diverse locations on the island, the Kuk Early Agricultural Site is the only UNESCO World heritage location. ^ Thomas L. Harper (13 January 2011). Dialogues in urban and regional planning. Taylor & Francis. p. 50. ISBN 978-0-415-59334-2. ^ Burgess, Ann Carroll; Burgess, Tom (2005). Guide to Western Canada (7th ed.). Globe Pequot Press. p. 31. ISBN 978-0-7627-2987-6. Retrieved 16 January 2011. ^ Geneviève Zarate; Danielle Levy; Claire Kramsch (19 April 2011). Handbook of Multilingualism and Multiculturalism. Archives contemporaines. p. 377. ISBN 978-2-8130-0039-2. ^ "Policy Paper no. 4 – Multiculturalism: New Policy Responses to Diversity". Unesco.org. Retrieved 10 December 2010. ^ "Multiculturalism in Canada". Pch.gc.ca. 9 April 2009. Retrieved 10 December 2010. ^ "Immigration and Multiculturalism". .gu.edu.au. Archived from the original on 19 February 2011. Retrieved 10 December 2010. ^ "Multiculturalism and the Dynamics of Modern Civilizations" (PDF). Retrieved 10 December 2010. ^ Wayland, Shara (1997). "Immigration, Multiculturalism and National Identity in Canada". International Journal of Group Rights. 5 (1). pp. 33–58. doi:10.1163/15718119720907408. ^ "Ujjal Dosanjh: By silencing white men, Canada can't have an honest debate about equality, race and culture". National Post. 4 January 2016. Retrieved 16 January 2017. ^ Ronald L. Jackson, II (29 June 2010). Encyclopedia of Identity. SAGE. p. 480. ISBN 978-1-4129-5153-1. ^ a b c "About Australia: Our Country". australia.gov.au. Retrieved 25 October 2013. ^ a b c "About Australia: People, culture and lifestyle". Dfat.gov.au. Retrieved 25 October 2013. ^ "A Team to Build a Stronger Australia". liberal.org.au. Archived from the original on 6 November 2013. ^ a b "The People of Australia – Australia's Multicultural Policy" (PDF). Department of Immigration and Citizenship. ^ Bissoondath, Neil. 2002. Selling Illusions: The Myth of Multiculturalism. Toronto: Penguin. ISBN 978-0-14-100676-5. ^ Fact or fiction in the great UK immigration debate. workpermit.com. News. 26 April 2005. Retrieved: 21 October 2007. ^ Lawrence A. Peskin; Edmund F. Wehrle (17 November 2011). America and the World: Culture, Commerce, Conflict. JHU Press. pp. 262–. ISBN 978-1-4214-0296-3. Retrieved 31 January 2012. ^ "Nicolas Sarkozy joins David Cameron and Angela Merkel view that multiculturalism has failed". Daily Mail UK. 11 February 2011. Retrieved 30 January 2012. ^ The Economist: The changing of the guard, 3 April 2003. ^ Laryssa Wirstiuk (21 April 2014). "Neighborhood Spotlight: Journal Square". Jersey City Independent. Retrieved 26 December 2014. ^ "Supplemental Table 2. Persons Obtaining Lawful Permanent Resident Status by Leading Core Based Statistical Areas (CBSAs) of Residence and Region and Country of Birth: Fiscal Year 2014". U.S. Department of Homeland Security. Retrieved 1 June 2016. ^ "Yearbook of Immigration Statistics: 2013 Supplemental Table 2". U.S. Department of Homeland Security. Retrieved 2 July 2017. ^ Lerman, Antony (22 March 2010). "Guardian.co.uk". London: Guardian. Retrieved 10 December 2010. ^ Susanne Wessendorf, The multiculturalism backlash: European discourses, policies and practices, p. 35; accessed through Google Books, 12 February 2011. ^ Paul C. Gorski, "A Brief History of Multicultural Education", EdChange.org, November 1999; accessed 12 February 2011. ^ a b C. James Trotman (2002). Multiculturalism: roots and realities. Indiana University Press. pp. 9–10. ISBN 978-0-253-34002-3. Retrieved 29 January 2012. ^ Tariq Modood (2007). Multiculturalism: a civic idea. Polity. p. 14. ISBN 978-0-7456-3288-9. ^ Parekh, Bhikhu C. (2002). Rethinking multiculturalism: cultural diversity and political theory. Harvard UP. p. 13. ISBN 978-0-674-00995-0. ^ Gunew, Sneja (2004). Haunted Nations: The colonial dimensions of multiculturalisms. 11 New Fetter Lane, London EC4P 4EE: Routledge. p. 80. ISBN 978-0-415-28483-7. ^ Fearon, James D.; Laitin, David D. (1 February 2003). "Ethnicity, Insurgency, and Civil War". American Political Science Review. null (1): 75–90. CiteSeerX 10.1.1.453.3913. doi:10.1017/S0003055403000534. ISSN 1537-5943. ^ Wimmer, Andreas; Cederman, Lars-Erik; Min, Brian (1 April 2009). "Ethnic Politics and Armed Conflict: A Configurational Analysis of a New Global Data Set". American Sociological Review. 74 (2): 316–37. CiteSeerX 10.1.1.518.4825. doi:10.1177/000312240907400208. ISSN 0003-1224. ^ Baldwin, Kate; Huber, John D. (1 November 2010). "Economic versus Cultural Differences: Forms of Ethnic Diversity and Public Goods Provision". American Political Science Review. 104 (4): 644–62. doi:10.1017/S0003055410000419. ISSN 1537-5943. ^ Wimmer, Andreas (28 July 2015). "Is Diversity Detrimental? Ethnic Fractionalization, Public Goods Provision, and the Historical Legacies of Stateness". Comparative Political Studies. 49 (11): 1407–1445. doi:10.1177/0010414015592645. ISSN 0010-4140. ^ Gerring, John; Hoffman, Michael; Zarecki, Dominic (2018). "The Diverse Causal Effects of Diversity on Democracy". British Journal of Political Science. 48 (2): 283–314. doi:10.1017/S000712341600003X. Retrieved 16 December 2015. ^ Kislev, E. (1 May 2016). "The effect of education policies on higher-education attainment of immigrants in Western Europe: A cross-classified multilevel analysis". Journal of European Social Policy. 26 (2): 183–99. doi:10.1177/0958928716637142. ISSN 0958-9287. ^ Kustov, Alexander; Pardelli, Giuliana (2018). "Ethnoracial Homogeneity and Public Outcomes: The (Non)effects of Diversity". American Political Science Review. 112 (4): 1096–1103. doi:10.1017/S0003055418000308. ISSN 0003-0554. ^ Abascal, Maria; Baldassarri, Delia (2015). "Love Thy Neighbor? Ethnoracial Diversity and Trust Reexamined". American Journal of Sociology. 121 (3): 722–782. doi:10.1086/683144. ISSN 0002-9602. ^ Pintscher, Lydia (17 December 2015). "Wikidata: Knowledge from different points of view". English Wikipedia. English Wikipedia. Retrieved 9 May 2018. ^ Nagle, John (23 September 2009). Multiculturalism's double bind: creating inclusivity, cosmopolitanism and difference. Ashgate Publishing, Ltd. p. 129. ISBN 9780754676072. ^ Rajaee, Farhang (May 2000). Globalization on trial: the human condition and the information civilization. IDRC. p. 97. ISBN 9780889369092. ^ Sandercock, Leonie; Attili, Giovanni; Cavers, Val; Carr, Paula (1 May 2009). Where strangers become neighbours: integrating immigrants in Vancouver, Canada. Springer. p. 16. ISBN 9781402090349. ^ "Report attacks multiculturalism". BBC news. 30 September 2005. Retrieved 10 December 2010. ^ a b Putnam, Robert D. (June 2007). "E Pluribus Unum: Diversity and community in the twenty-first century". Scandinavian Political Studies. 30 (2): 137–74. doi:10.1111/j.1467-9477.2007.00176.x. The 2006 Johan Skytte Prize Lecture. ^ Sailer, Steve (15 January 2007). "Fragmented future". The American Conservative. Jon Basil Utley. ^ Martin, Michel, "Political Scientist: Does Diversity Really Work?" Tell Me More, NPR. Written 15 August 2007, accessed 15 September 2017. ^ Salter, Frank, On Genetic Interests, p. 146. ^ Lamm, Richard D. (2005). "I have a plan to destroy America". Snopes.com. Retrieved 12 January 2011. ^ Clendinnen, Inga Aztecs: An Interpretation, Cambridge: Cambridge University Press 1995. p. 201. ^ Windshuttle, Keith The Killing of History How Literary Critics and Social Theorists Are Murdering Our Past, San Francisco: Encounter Books, 1997. p. 69. ^ Johnson, Jay T. (January 2008). "Indigeneity's challenges to the White Settler-State: creating a thirdspace for dynamic citizenship". Alternatives: Global, Local, Political. 33 (1): 29–52. doi:10.1177/030437540803300103. ^ Ben Cahoon. "Argentina". Worldstatesmen.org. Retrieved 10 December 2010. ^ "CIA – The World Factbook – Argentina". Cia.gov. Retrieved 16 January 2011. ^ Karen Faulk (2012). In the Wake of Neoliberalism: Citizenship and Human Rights in Argentina. Stanford University Press. p. 99. ISBN 978-0-8047-8391-0. ^ "Argentine Culture Rich and Diverse". Argentina.ar. Archived from the original on 31 May 2011. Retrieved 10 December 2010. ^ a b "Bolivia". www.iwgia.org. Retrieved 14 July 2018. ^ a b "The World Factbook — Central Intelligence Agency". www.cia.gov. Retrieved 14 July 2018. ^ "Justia Bolivia :: Nueva Constitución Política Del Estado > PRIMERA PARTE > TÍTULO I > CAPÍTULO PRIMERO :: Ley de Bolivia". bolivia.justia.com (in Spanish). Retrieved 14 July 2018. ^ "A revealing map of the world's most and least ethnically diverse countries". Washington Post. Retrieved 27 July 2018. ^ "The most (and least) culturally diverse countries in the world". Pew Research Center. 18 July 2013. Retrieved 27 July 2018. ^ "Possíveis relações entre multiculturalismo e teorias curriculares da Educaç...: EBSCOhost". web.b.ebscohost.com. Retrieved 27 July 2018. ^ "Blackness, Indigeneity, Multiculturalism and Genomics in Brazil, Colombia a...: EBSCOhost". web.b.ebscohost.com. Retrieved 27 July 2018. ^ Anne-Marie Mooney Cotter (28 February 2011). Culture clash: an international legal perspective on ethnic discrimination. Ashgate Publishing, Ltd. p. 176. ISBN 978-1-4094-1936-5. ^ Duncan, James S; Ley, David (1983). Place/culture/representation. Routledge. pp. 205–06. ISBN 978-0-415-09451-1. Retrieved 12 September 2010. ^ "Canadian Charter of Rights and Freedoms (Being Part I of the Constitution Act, 1982)". Electronic Frontier Canada. 2008. Retrieved 12 September 2010. ^ "Canadian Multiculturalism Act (1985, c. 24 (4th Supp.)". Department of Justice Canada. 14 November 2010. Retrieved 12 September 2010. ^ Raboy, Marc; Jeremy Shtern; William J. McIveret (2010). Media Divides: Communication Rights and the Right to Communicate in Canada. Vancouver: University of British Columbia Press. p. 104. ISBN 978-0-7748-1775-2. ^ Mahtani, Minelle (2001). "Representing Minorities: Canadian media and minority identities". Canadian Ethnic Studies. 33 (3). ^ Linda A. White; Richard Simeon (2009). The Comparative Turn in Canadian Political Science. UBC Press. p. 102. ISBN 978-0-7748-1428-7. ^ Stephen J Tierney (2011). Multiculturalism and the Canadian Constitution. UBC Press. p. 66. ISBN 978-0-7748-4007-1. ^ Sonia Sikka (2014). Multiculturalism and Religious Identity. McGill-Queen's Press. p. 237. ISBN 978-0-7735-9220-9. ^ "A literature review of Public Opinion Research on Canadian attitudes towards multiculturalism and immigration, 2006-2009". Government of Canada. 2011. Retrieved 18 December 2015. ^ Theodore Caplow (2001). Leviathan Transformed: Seven National States in the New Century. McGill-Queen's Press. p. 146. ISBN 978-0-7735-2304-3. ^ a b Stackhouse, John; Martin, Patrick (2 February 2002). "Canada: 'A model for the world'". The Globe and Mail. p. F3. Retrieved 12 September 2010. ^ a b "The last liberals Why Canada is still at ease with openness". The Economist. 29 October 2016. Retrieved 10 November 2016. ^ Immigration, Refugees and Citizenship Canada (10 June 2012). "Evaluation of the Multiculturalism Program". aem. Retrieved 19 March 2019. ^ Tweedie, Gregory; Dressler, Anja; Schmidt, Cora-Leah (12 November 2018). "Supporting Reconnecting Immigrant Families with English Language Learners in Rural Schools: An Exploratory Study of Filipino Arrivals to Alberta". Retrieved 17 November 2018. ^ México, Conquista De (29 October 2008). "mas alla de la historia: Consecuencias de la conquista de mexico". mas alla de la historia. Retrieved 25 July 2018. ^ Page, Index (20 May 2011). "Ethnic diversity in Mexico : Mexico Travel". Mexconnect.com. Retrieved 1 July 2013. ^ "Wayback Machine" (PDF). 22 October 2013. Archived from the original (PDF) on 22 October 2013. Retrieved 26 July 2018. ^ "Microsoft Word – Mexico City PR rev-1.doc" (PDF). Retrieved 1 July 2013. ^ "El impacto del mestizaje en México". Investigación y Ciencia (in Spanish). Retrieved 25 July 2018. ^ "Wayback Machine" (PDF). 27 April 2013. Archived from the original (PDF) on 27 April 2013. Retrieved 25 July 2018. ^ "Peru population. Demographic data, ethnic groups population and demographics from Peru - CountryReports". www.countryreports.org. Retrieved 26 July 2018. ^ Ann Katherine Isaacs (2007). Immigration and emigration in historical perspective. Edizioni Plus. p. 38. ISBN 978-88-8492-498-8. ^ Zangwill, Israel. The Melting Pot, 1908. ^ Marcelo M. Suárez-Orozco; Carola Suárez-Orozco (2005). The new immigration: an interdisciplinary reader. Routledge. p. 39. ISBN 978-0-415-94916-3. ^ Peter Caputi; Heather Foster; Linda L. Viney (11 December 2006). Personal construct psychology: new ideas. John Wiley & Sons. p. 18. ISBN 978-0-470-01943-6. ^ Boening, Astrid B. (May 2007). "Euro-Islam – A Constructivist Idea or a Concept of the English School?" (PDF). European Union Miami Analysis (EUMA). 4 (12). Miami-Florida European Union Center of Excellence. pp. 3–10. Retrieved 30 September 2009. ^ Terese M. Volk (14 October 2004). Music, Education, and Multiculturalism: Foundations and Principles. Oxford University Press. p. 160. ISBN 978-0-19-517975-0. ^ Jayson, Sharon (7 February 2006). "'Colorblind' Generation Doesn't Blink at Interracial Relationships". USA Today. ^ Historians speak out against proposed Texas textbook changes Michael Birnbaum, 18 March 2010. ^ The Culture Wars' New Front: U.S. History Classes in Texas, Stephanie Simon, 14 July 2009. ^ Texas Conservatives Win Curriculum Change, James C. McKinley Jr., 12 March 2010. ^ "The downside of diversity - The Boston Globe". archive.boston.com. Retrieved 31 December 2018. ^ "Venezuela Population (2018) - Worldometers". www.worldometers.info. Retrieved 27 July 2018. ^ "Venezuela". www.nationsencyclopedia.com. Retrieved 27 July 2018. ^ a b "Venezuela sociedad multietnica y pluricultural". www.slideshare.net. 18 October 2012. Retrieved 27 July 2018. ^ "Los idiomas de Venezuela". Studycountry (in Spanish). Retrieved 27 July 2018. ^ a b Robert C. Ostergren; Mathias Le Bossé (7 March 2011). The Europeans: A Geography of People, Culture, and Environment. Guilford Press. p. 226. ISBN 978-1-59385-384-6. ^ a b c Guntram Henrik Herb; David H. Kaplan (22 May 2008). Nations and Nationalism. ABC-CLIO. p. 522. ISBN 978-1-85109-907-8. ^ "Official Web site". Entoen.nu. Retrieved 10 December 2010. ^ Jeffrey G. Reitz; Raymond Breton; Karen Kisiel Dion; Kenneth L. Dion (2009). Multiculturalism and Social Cohesion: Potentials and Challenges of Diversity. Springer Science & Business Media. pp. 17–20. ISBN 978-1-4020-9958-8. ^ Christoph Beat Graber; Mira Burri Nenova (30 November 2008). Intellectual property and traditional cultural expressions in a digital environment. Edward Elgar Publishing. pp. 87–88. ISBN 978-1-84720-921-4. ^ "Panoramio.com". panoramio.com. 1 January 1970. Archived from the original on 15 July 2013. Retrieved 15 July 2013. ^ Alan Horton. "Everything you want to know about the country of Bulgaria". Bulgaria Focus. Archived from the original on 3 January 2012. Retrieved 29 January 2012. ^ "Vagobond in Bulgaria - Part 2 - Sofia Places of Worship - Vagobond". vagobond.com. 1 February 2014. Archived from the original on 16 October 2017. Retrieved 22 October 2017. ^ В.Е. "News.bg – Макет на 4 храма – туристически символ на София". News.ibox.bg. Retrieved 29 January 2012. ^ "Sofia's new tourist symbol | Radio Bulgaria". Bnr.bg. Archived from the original on 22 June 2012. Retrieved 29 January 2012. ^ "София - Мъдрост в действие". Sofiasymbol.bg. Retrieved 29 January 2012. ^ Todorov, Tzvetan (2003). The Fragility of Goodness: Why Bulgaria's Jews Survived the Holocaust. Translated by Arthur Denner. Princeton University Press. ISBN 9780691115641. ^ Levi, Primo (2001). Beyond Hitler's Grasp. Adams Media. ISBN 978-1580625418. ^ Leadel.Net. "Exclusive video: 'Restoring the crown to former glory'". Jpost.com. Retrieved 29 January 2012. ^ "Bulgarian MPs Officially Condemn 'Revival Process'". Pomak.eu. Retrieved 1 July 2013. ^ "ЦИК : Резултати". Rezultati.cik2009.bg. 1 January 1970. Archived from the original on 25 February 2012. Retrieved 1 April 2012. ^ "The Political Representation of the Roma Minority in Bulgaria: (1990-2005)". POLITEIA – Participation for Citizenship and Democracy in Europe. 2005. Archived from the original on 20 April 2012. Retrieved 1 April 2012. ^ a b "Merkel says German multicultural society has failed". BBC News. 17 October 2010. ^ Furlong, Ray (30 November 2004). "Germans argue over integration". BBC. Retrieved 18 October 2010. ^ "Germany's charged immigration debate". BBC News. 17 October 2010. ^ "Multiculturalism is a sham, says Angela Merkel". Washington Post. 14 December 2015. Retrieved 24 February 2019. ^ "'Muslims in Germany have rights and obligations'". 18 June 2013. Retrieved 7 June 2014. ^ "La progression de la population du Grand-Duché continue: 537 039 résidants au 1er janvier 2013." Statnews 16/2013, op statec.lu, 18 April 2013. (in French). ^ a b "Luxembourg, an ever-growing multicultural population". JUST ARRIVED. Retrieved 22 July 2018. ^ "The Trilingual Education system in Luxembourg". www.unavarra.es. Retrieved 22 July 2018. ^ "Conventions - Luxembourg". UNESCO. Retrieved 22 July 2018. ^ a b c Susanne Wessendorf (2010). The multiculturalism backlash: European discourses, policies and practices. Taylor & Francis. pp. 73–75. ISBN 978-0-415-55649-1. ^ a b c d iStockphoto, Illustrasjonsfoto:. "Likestillingsidealer gjør muslimske kvinner mer religiøse". Kilden (in Norwegian Bokmål). Retrieved 24 February 2019. ^ Tariq Modood; Anna Triandafyllidou; Ricard Zapata-Barrero (6 April 2006). Multiculturalism, Muslims and citizenship: a European approach. Routledge. p. 27. ISBN 978-0-415-35515-5. ^ "Multiculturalism: What does it mean?". BBC News Online. 7 February 2011. ^ "Donner: Afscheid van multiculturele samenleving Nederland". Elsevier. 16 June 2011. Archived from the original on 29 November 2011. ^ a b c "Multikulturalisme i Skandinavia". kjonnsforskning.no (sub-unit of the Research Council of Norway) (in Norwegian Bokmål). Retrieved 24 February 2019. ^ Harmon, Nikolaj A. (11 September 2018). "Immigration, Ethnic Diversity, and Political Outcomes: Evidence from Denmark". The Scandinavian Journal of Economics. 120 (4): 1043–1074. doi:10.1111/sjoe.12239. ISSN 0347-0520. ^ "Opråb fra ministre: Problemer med integration af børn af ikkevestlige indvandrere". Berlingske.dk (in Danish). 16 December 2018. Retrieved 29 January 2019. Danmarks integrationspolitik har i årtier været bygget op om troen på, at med den rette hjælp vil indvandrere og deres efterkommerne generation for generation falde til. En ny undersøgelse rammer en pæl gennem den forestilling. Den fastslår, at tredjegenerationsindvandrerne ikke får bedre karakterer i folkeskolen end generationen før dem. At der ikke er flere, som færdiggør en ungdomsuddannelse. Og at der ikke er flere, som får et arbejde. Det fremgår af »Analyse af børn af efterkommere med ikke-vestlig baggrund«, som er udarbejdet af Integrationsministeriet og Undervisningsministeriet. Den kortlægger for første gang, hvordan tredjegenerationsindvandrerne klarer sig på centrale parametre. // »Vi ved fra forskningen, at børn, som taler dansk i hjemmet, klarer sig bedre i skolen. Men mange gifter sig med én, som kommer direkte fra hjemlandet. Det vil sige, at integrationen starter forfra i hver generation,« siger Merete Riisager. ^ a b Mångfaldsbarometern 2014 (PDF). Gävle University College. October 2014. p. 57. Archived from the original (PDF) on 21 June 2016. ^ Wickström, Mats (2015). The multicultural moment: the history of the idea and politics of multiculturalism in Sweden in comparative, transnational and biographical context, 1964–1975. Åbo Akademi. ISBN 978-952-12-3133-9. ^ TT. "Svenskar vill ha inhägnat boende | SvD". SvD.se (in Swedish). Archived from the original on 22 March 2016. Retrieved 14 July 2018. ^ Mångfaldsbarometern 2014 (PDF). Gävle University College. October 2014. pp. 7–8. Archived from the original (PDF) on 21 June 2016. ^ McShane, Karl (2017). "Getting used to diversity? Immigration and trust in Sweden". Economics Bulletin. 37 (3): 16. Retrieved 2 January 2018. ^ McShane, Karl (31 August 2017). "Getting Used to Diversity? 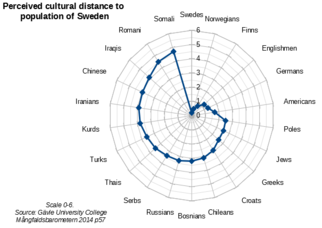 Immigration and Trust inSweden" (PDF). Economics Bulletin. 37 (3): 12. Retrieved 8 April 2018. ^ "Autonomous Province of Vojvodina". vojvodina.gov.rs. ^ "Error". vip.org.rs. Archived from the original on 27 December 2008. ^ "Beogradski centar za ljudska prava". bgcentar.org.rs. Belgrade Centre for Human Rights. 29 March 2015. ^ "Promotion of Multiculturalism and Tolerance". puma.vojvodina.gov.rs. 26 July 2015. ^ Terry Wotherspoon (1995). Multicultural education in a changing global economy: Canada and the Netherlands. Waxmann Verlag. p. 1. ISBN 978-3-89325-331-9. ^ Sylvia Hadjetian (April 2008). Multiculturalism and Magic Realism? Between Fiction and Reality. GRIN Verlag. p. 31. ISBN 978-3-638-93283-7. ^ "State multiculturalism has failed, says David Cameron". BBC News Online. 5 February 2011. ^ Françoise Lionnet; Shumei Shi (16 February 2005). Minor transnationalism. Duke University Press. p. 203. ISBN 978-0-8223-3490-3. Retrieved 29 January 2012. ^ "Multiculturalism, Mauritian Style: Cultural Diversity, Belonging, and a Sec...: EBSCOhost". web.b.ebscohost.com. Retrieved 27 July 2018. ^ "Some facts about Mauritius". Infomauritius.com. Retrieved 10 December 2010. ^ "A SWOT Analysis of Multiculturalism in Canada, Europe, Mauritius, and South...: EBSCOhost". web.b.ebscohost.com. Retrieved 27 July 2018. ^ "Language in India". Retrieved 29 January 2012. ^ Mohammada, Malika (2007). The foundations of the composite culture in India. Aakar Books, 2007. ISBN 9788189833183. ^ "India – Caste". Encyclopædia Britannica Online. ^ "Indian Census". Censusindia.gov.in. Archived from the original on 12 May 2008. Retrieved 10 December 2010. ^ "Hindi, not a national language: Court". 25 January 2010. Retrieved 22 October 2017 – via www.thehindu.com. ^ "There's no national language in India: Gujarat High Court - Times of India". indiatimes.com. Retrieved 22 October 2017. ^ Nussbaum, Martha (2009). The Clash Within: Democracy, Religious Violence, and India's Future. Harvard University Press. p. 1. ISBN 978-0-674-04156-1. ^ "Sachar Committee Report" (PDF). (Cabinet Secretariat, Govt. of India). November 2006. pp. 9–25. Archived from the original (PDF) on 21 October 2012. Retrieved 18 August 2012. ^ Singh, Deepti; Goli, Srinivas (2011). "Exploring the Concept of Mixed Marriages in Indian and selected states: First time evidences from large scale survey". Princeton University. Archived from the original on 16 May 2016. ^ "Pribumi". Encyclopedia of Modern Asia. Macmillan Reference USA. Retrieved 5 October 2006. ^ a b Indonesia's Population: Ethnicity and Religion in a Changing Political Landscape. Institute of Southeast Asian Studies. 2003. ^ "Ethnologue report for Indonesia". Ethnologue.com. Retrieved 10 December 2010. ^ "The Geography of Indonesia". Indonesia.go.id. Retrieved 4 August 2014. ^ "Indonesia: The Violence in Central Kalimantan (Borneo)". Human Rights Watch. 28 February 2001. Retrieved 13 August 2008. ^ "Indonesia flashpoints: Kalimantan". BBC. 28 June 2004. Retrieved 13 August 2008. ^ "Indonesia flashpoints: Sulawesi". BBC News. 28 June 2004. Retrieved 13 October 2012. ^ Elegant, Simon (17 December 2001). "Indonesia's Dirty Little Holy War". Time. Retrieved 31 March 2011. ^ Tan 2008, p. 24. ^ Setiono 2003, p. 1099. ^ "Abe fine with 'homogeneous' remark". Japan Times. 27 February 2007. Retrieved 25 July 2014. ^ "Aso says Japan is nation of 'one race'". Japan Times. 18 October 2005. Retrieved 25 July 2014. ^ "International Societies in Japan". Tokyo-international.org. Archived from the original on 26 February 2012. Retrieved 10 December 2010. ^ "Contemporary Japan: Japanese Society". Asian Topics, Columbia University. Retrieved 14 November 2013. ^ Marmontova, T.V. "Interethnic relations in the Republic of Kazakhstan in the light of multicultural theories". e-history.kz. ^ "Kazakhstan –The Heaven of interfaith and interethnic harmony". Dispatch News Desk. ^ "Kazakhstan's unique Assembly of People maintains ethnic harmony". UPI. ^ "Honey, I shrunk the Chinese!". CPI. 9 December 2009. Archived from the original on 25 May 2012. ^ (n.d.) In Housing Development Boards of Singapore website. Retrieved: 18 November 2010 from Policy Changes To Support An Inclusive And Cohesive Home. ^ "Korea's ethnic nationalism is a source of both pride and prejudice, according to Gi-Wook Shin". The Korea Herald. 2 August 2006. ^ a b Rauf, Imam Feisal Abdul (2005). "MULTICULTURALISMS: Western, Muslim and Future". CrossCurrents. 55 (1): 100–105. JSTOR 24461190. ^ "The 10 Most Populated Countries in Africa". WorldAtlas. Retrieved 26 July 2018. ^ "Census 2011 Census in Brief" (PDF). 13 May 2015. Archived from the original (PDF) on 13 May 2015. Retrieved 26 July 2018. ^ "The World Factbook — Central Intelligence Agency". www.cia.gov. Retrieved 26 July 2018. ^ a b Mbenda, Huguette Gaelle Ngassa; Awasthi, Gauri; Singh, Poonam K; Gouado, Inocent; Das, Aparup (16 July 2014). "Does malaria epidemiology project Cameroon as 'Africa in miniature'?". Journal of Biosciences. 39 (4): 727–738. doi:10.1007/s12038-014-9451-y. ISSN 0250-5991. ^ "World Population Prospects - Population Division - United Nations". esa.un.org. Retrieved 26 July 2018. ^ Asanga Fon, Nguh Nwei (26 July 2018). "Can Bilingualism Survive in Cameroon?". Research Gate. ^ "Cameroon: Africa in Miniature – In what Sense?". KINGSLEY SHETEH'S BLOG. 13 December 2012. Retrieved 26 July 2018. ^ "Cameroon". Ethnologue. Retrieved 26 July 2018. ^ "Cameroon | Culture, History, & People". Encyclopedia Britannica. Retrieved 26 July 2018. ^ "Cameroon". www.iwgia.org. Retrieved 26 July 2018. ^ "Indigenous peoples' land rights in Cameroon: progress to date and possible futures". Briefing. 1 December 2017. ^ "Declaration on land rights from the Gbabandi Platform, Cameroon | Forest Peoples Programme". www.forestpeoples.org. Retrieved 26 July 2018. ^ a b "Multiculturalism, Gender and Political Participation in Morocco: EBSCOhost". web.b.ebscohost.com. Retrieved 27 July 2018. ^ Ennaji, Moha (2014). "Recognizing the Berber Language in Morocco: A Step for Democratization". Georgetown Journal of International Affairs. 15 (2): 93–99. JSTOR 43773631. ^ "IMMI.gov.au" (PDF). Retrieved 10 December 2010. ^ "A Team to Build a Stronger Australia". Archived from the original on 6 November 2013. ^ Brian Galligan; John Ravenhill (15 June 1997). New developments in Australian politics. Macmillan Education AU. p. 13. ISBN 978-0-7329-4304-2. ^ Wayne A. Cornelius (2004). Controlling immigration: a global perspective. Stanford University Press. p. 143. ISBN 978-0-8047-4490-4. ^ "Document Details". Abstract Database. US National Criminal Justice Reference Service. Retrieved 28 April 2010. ^ Dunn, Andy (June 2000). "Two-Way Tolerance". Police Journal Online. 81 (6). Retrieved 27 April 2010. ^ Chilana, Rajwant Singh (2005). International bibliography of Sikh studies. Springer. p. 444. ISBN 978-1-4020-3043-7. ^ A Practical Reference to Religious Diversity for Operational Police (PDF) (1st ed.). National Police Ethnic Advisory Bureau. 1999. Archived from the original (PDF) on 16 March 2003. ^ A Practical Reference to Religious Diversity for Operational Police (PDF) (2nd ed.). Australasian Police Multicultural Advisory Bureau. 2002. Archived from the original (PDF) on 19 June 2005. ^ White, Rob; Perrone, Santina (2001). "Racism, Ethnicity and Hate Crime" (PDF). Communal/Plural. 9 (2): 161–81. doi:10.1080/13207870120081479. Archived from the original (PDF) on 5 July 2010. Retrieved 18 August 2012. ^ Socidad Peruana de Medicina Intensiva (SOPEMI) (2000). Trends in international migration: continuous reporting system on migration. Organisation for Economic Co-operation and Development. pp. 276–278. ^ Taonga, New Zealand Ministry for Culture and Heritage Te Manatu. "History of immigration – Te Ara Encyclopedia of New Zealand". teara.govt.nz. Retrieved 16 July 2018. ^ Phillips, Jock (11 August 2015). "History of immigration". Te Ara: The Encyclopedia of New Zealand. Retrieved 2 June 2017. ^ Taonga, New Zealand Ministry for Culture and Heritage Te Manatu. "13. – The New Zealanders – Te Ara Encyclopedia of New Zealand". teara.govt.nz. Retrieved 16 July 2018. ^ a b c "New Zealand | Multiculturalism Policies in Contemporary Democracies". www.queensu.ca. Retrieved 16 July 2018. ^ @Zagzigger2, John Drinnan John Drinnan is the Media writer for the New Zealand Herald jdrinnan@xtra co nz (7 July 2016). "John Drinnan: 'Maori' will remain in the name Maori Television". NZ Herald. ISSN 1170-0777. Retrieved 16 July 2018. ^ "Language | Stats NZ". www.stats.govt.nz. Retrieved 16 July 2018. ^ Fearon, James D. (2003). "Ethnic and Cultural Diversity by Country*". Journal of Economic Growth. 8 (2): 195–222. doi:10.1023/A:1024419522867. ISSN 1381-4338. ^ "World Population Prospects - Population Division - United Nations". esa.un.org. Retrieved 6 July 2018. ^ "Papua New Guinea". Ethnologue. Retrieved 6 July 2018. ^ "Papua New Guinea | Culture, History, & People". Encyclopedia Britannica. Retrieved 11 July 2018. ^ Centre, UNESCO World Heritage. "Papua New Guinea - UNESCO World Heritage Centre". whc.unesco.org. Retrieved 28 July 2018. Barry Brian (30 October 2002). Culture and Equality: An Egalitarian Critique of Multiculturalism. Harvard University Press. ISBN 978-0-674-01001-7. Baumann, Gerd (22 March 1999). The Multicultural Riddle: Rethinking National, Ethnic, and Religious Identities. Psychology Press. ISBN 978-0-415-92213-5. Bennett, David (10 November 1998). Multicultural States: Rethinking Difference and Identity. Psychology Press. ISBN 978-0-415-12159-0. Barzilai, Gad (9 February 2005). Communities And Law: Politics And Cultures Of Legal Identities. University of Michigan Press. ISBN 978-0-472-03079-8. Caravantes, Ernesto (30 June 2010). From melting pot to witch's cauldron: how multiculturalism failed America. Government Institutes. ISBN 978-0-7618-5056-4. Okin, Susan Moller (9 August 1999). Is Multiculturalism Bad for Women?. Princeton University Press. ISBN 978-1-4008-4099-1. Fillion, Réal Robert (2008). Multicultural dynamics and the ends of history: exploring Kant, Hegel, and Marx. University of Ottawa Press. ISBN 978-0-7766-0670-5. Fortier, Anne-Marie (2 April 2008). Multicultural Horizons: Diversity and the Limits of the Civil Nation. Taylor & Francis. ISBN 978-0-415-39608-0. Goldber, David Theo (1994). Multiculturalism: A Critical Reader. Blackwell Publishers. ISBN 978-0-631-18912-1. Gordon, Avery & Newfield, Christopher (1996). Mapping Multiculturalism. University of Minnesota Press. ISBN 978-0-8166-2547-5. Gottfried, Paul (January 2004). Multiculturalism and the Politics of Guilt: Toward a Secular Theocracy. University of Missouri Press. ISBN 978-0-8262-1520-8. Icart, Jean-Claude (2007). "Racism in Canada" in Across Cultures Montreal: National Film Board of Canada. International Progress Organization & UNESCO (1978). Cultural self-comprehension of nations. International Progress Organization. ISBN 978-3-7711-0311-8. Hesse, Barnor (2000). Un/settled Multiculturalisms: Diasporas, Entanglements, "transruptions". Zed Books. ISBN 978-1-85649-560-8. Ley, David "multiculturalism" in Gregory, Derek (ed.) (2009) The Dictionary of Human Geography (5th ed.) Blackwell Publishers. Hasmath, Reza (2011). Managing Ethnic Diversity: Meanings and Practices from an International Perspective. Ashgate. ISBN 978-1-4094-1121-5. Modood, Tariq & Werbner, Phina (15 October 1997). The Politics of Multiculturalism in the New Europe: Racism, Identity, and Community. Palgrave Macmillan. ISBN 978-1-85649-422-9. Parekh, Bhikhu C. (2002). Rethinking Multiculturalism: Cultural Diversity and Political Theory. Harvard University Press. ISBN 978-0-674-00995-0. Putnam, Robert D. (June 2007). "E Pluribus Unum: Diversity and community in the twenty-first century". Scandinavian Political Studies. 30 (2): 137–74. doi:10.1111/j.1467-9477.2007.00176.x. The 2006 Johan Skytte Prize Lecture. Russon, John (2003). Human experience philosophy, neurosis, and the elements of everyday life. Albany: State University of New York Press. ISBN 9780791486757. Sailer, Steve (15 January 2007). "Fragmented future". The American Conservative. Jon Basil Utley. Taylor, Charles (20 December 2011). Multiculturalism: (Expanded Paperback Edition). Princeton University Press. ISBN 978-1-4008-2140-2. .
Žižek, Slavoj (September – October 1997). "Multiculturalism, or, the cultural logic of multinational capitalism". New Left Review. I (225): 28–51. Wikimedia Commons has media related to Multiculturalism.